DIGITNOW Video Capture Vhs to Digital Converter Records Video Tapes to Memory Card. 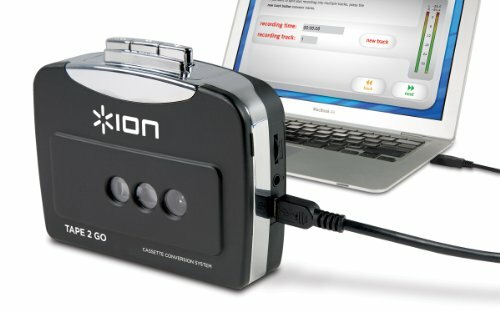 Now you can listen to your old cassette tapes by converting them into MP3 files and listening to them on your computer, iPod or even in the car. The easy to use USB connection helps you to send music from tapes straight into your computer where it is instantly converted to MP3. Once converted you can load them onto your music player and enjoy all of those old songs. TAPE 2 GO is portable so that you can transfer music anywhere. It is powered by battery or USB power when connected to a computer. It comes with iON’s exclusive EZ Converter software which guides you through transferring your music. It can also integrate with iTunes Music Library. Tape 2 Go also has an audio output that allows you to listen through headphones or a speaker. It can play both Chrome and normal cassette tapes. 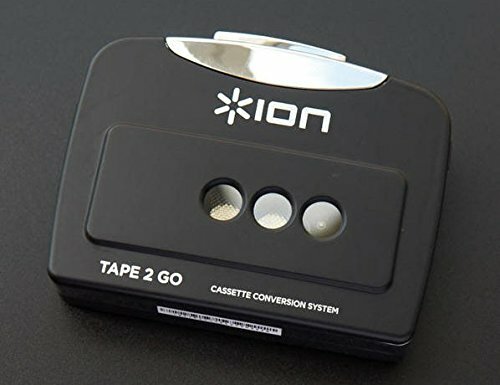 Don’t miss out on your old music collection anymore with this portable cassette tape converter. • USB Tape Player • Battery or USB powered. • Plays Chrome and Normal Tapes • Requires 2 x AA Batteries • Requires iTunes on your PC • EZ Converter Software included Approximate dimensions: H 114mm x W 95mm x D 31mm • supported on Mac systems running OSX 10.6.8 and above.